It’s another funky Friday over here in the land of macarons and mayhem. Though, I must say things are looking more like this than any sort of trouble, which is just fine by me. 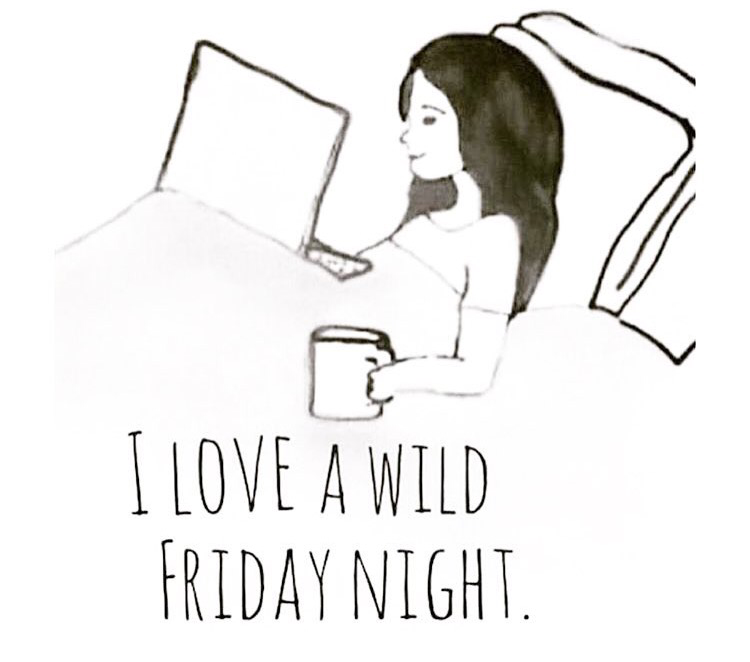 Socializing and (a few too many) cocktails were out of the way early this week so tonight I’m just talking you loves and curling up with a laptop and maybe trying 13 Reasons on Netflix. Has anyone started this? Thoughts? 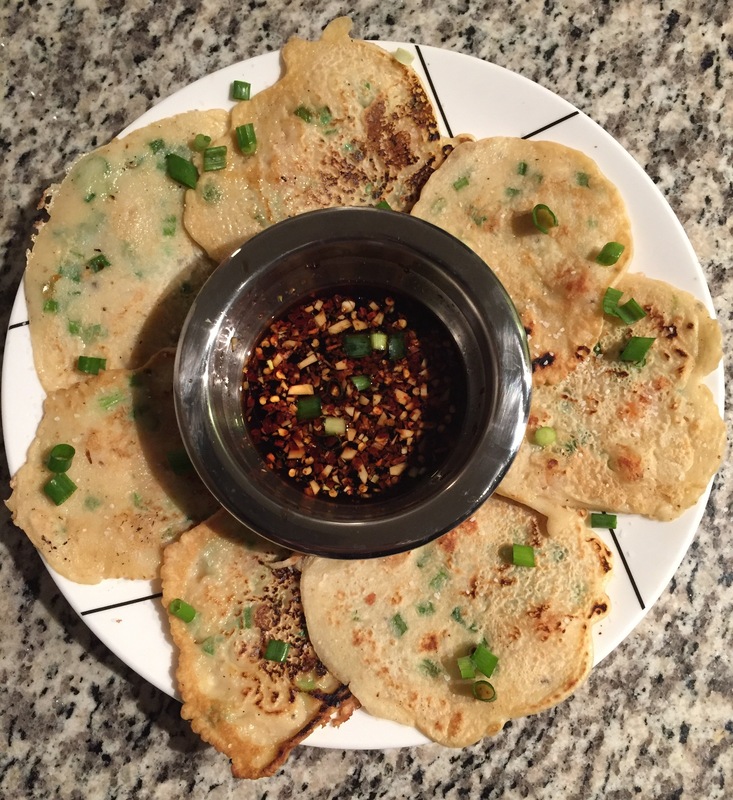 To accompany my Netflix binge, I’m trying two funk food recipes: egg roll bowls and shrimp and scallion pancakes. It’s like pretend take out and I don’t even have to tip my delivery dude! 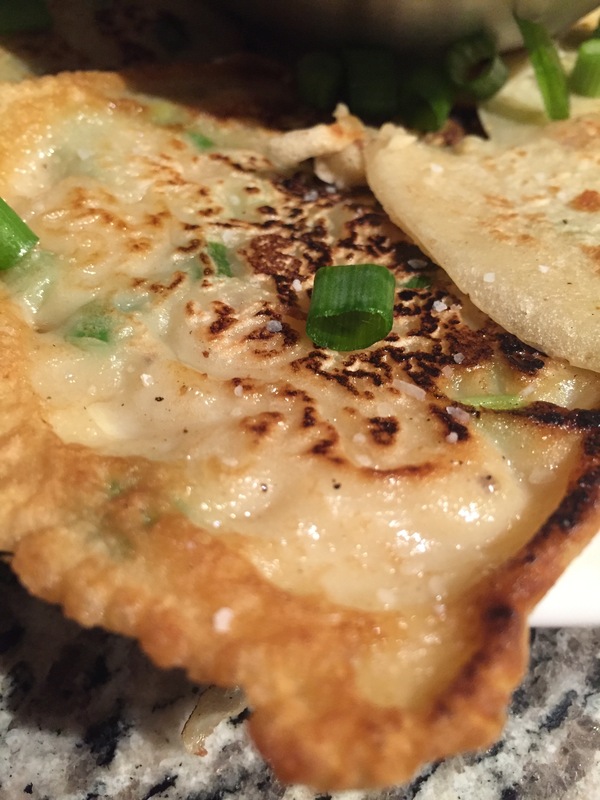 First up, the pancakes…ok, ok, so maybe the floury pancake batter isn’t technically a funk food, but I needed something fun to complement the bowl of cabbage that is about to be the main. I mean you can eat four pancakes (recipe makes eight) for 10 WW points…not the best trade-off I’ve ever heard of, but certainly not take out level high. Plus it’s a non-wine night, so it’s fine. I’m telling myself. Chewy, crispy, salty? Get funky with it! I’ll definitely make these babies again, maybe just not pre-vacation diet. Make dipping sauce by whisking all ingredients together. Set aside. Make pancakes by combined all ingredients together. Set aside. Heat sesame oil over medium-high heat. Spoon pancake batter onto hot oil and fry about 2 minutes per side. Flip and fry other side. Now, onto the main. Egg roll bowls: another easy one. 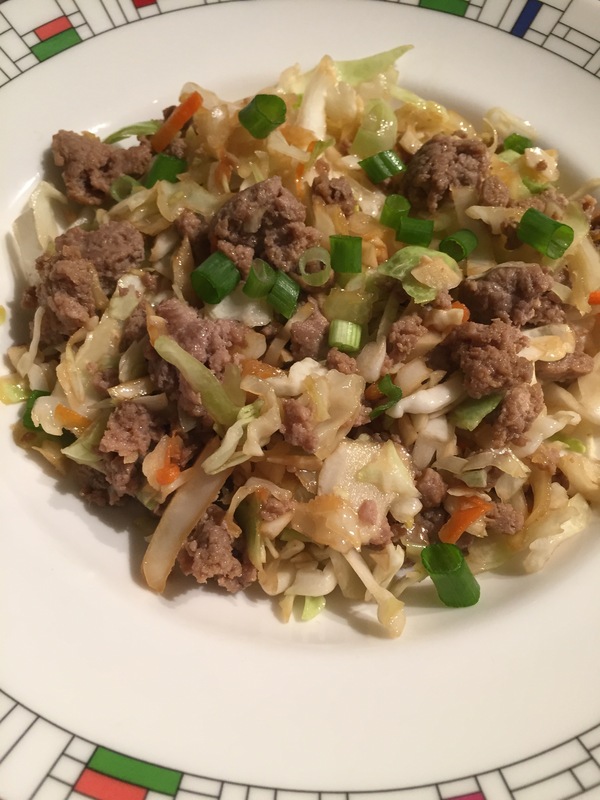 This recipe makes about 7-8 servings and comes in at a 3 WW points per serving…mostly because you’re eating a bowl of cabbage and missing the fun fried part of an actual egg roll. Whisk together garlic, ginger, soy sauce, and sesame oil. Set aside. In a large skillet, brown the turkey sausage over medium heat until cooked through. Add the shredded cabbage and stir to combine. Pour the sauce over the whole mixture. 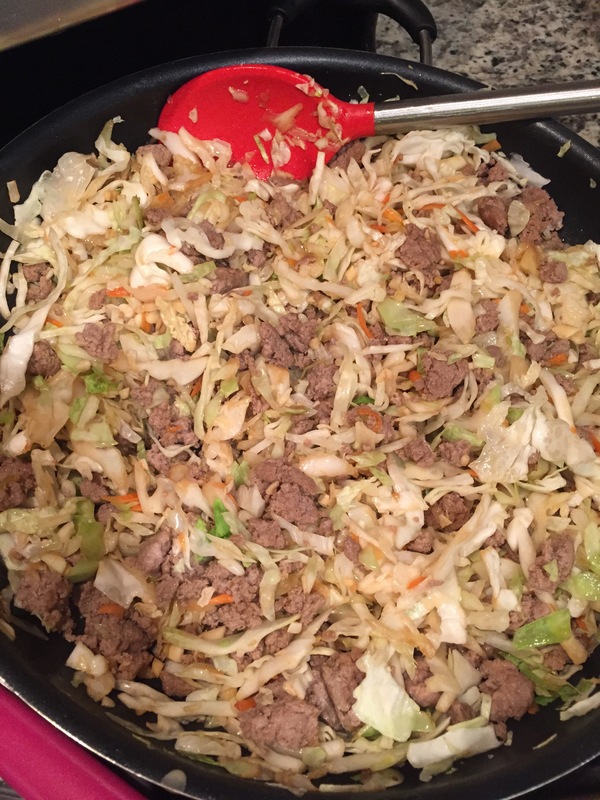 Stir and cook until cabbage just begins to wilt but is still crunchy.